April | 2013 | I Haven't Had My Coffee Yet -- Don't Make Me Kill You! What Digital Can Learn From Physical? Who wants to know the difference between North American and European pallets? Anyone? If you don’t get it, it’s ok. Many aspects of physical distribution are lost in the digital world. However, some aspects of music distribution transcend format. While many labels have strong digital strategies in place, below are some of the more recurring areas where the digital world could at times learn from physical. You can not release an album in the physical sphere with two weeks’ notice. Even if stock is manufactured, it needs time to ship to its various destinations, hit the stock room and be processed. Sell in times for physical retailers are 6-8 weeks, more in some territories. If sales information is provided late, retailers have already allocated their budgets for a release date and have moved on to the next. 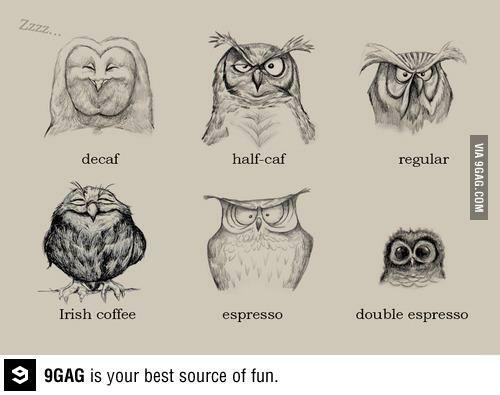 Exceptions happen of course. If you have the new Beyonce album, things have a way of moving faster. But if you have the release of a developing artist, proper release set up time is best heeded. In the digital world, we can release an album with much less notice. Deliveries are faster and pitches are sent later. But what more can be achieved with a longer set up time? The most common question I receive from digital accounts is not about what is out in two weeks, but what is out in two months. Greater and more creative promotions with retailers can be set up with a longer lead time. Give time for editorial teams to live with a release ahead of street date, maybe become fans. The more time, the merrier. Okay, timing isn’t completely everything. Music is pretty darn important. In the physical world, retailers order stock from the distributor and are then invoiced on the units shipped to them (with some exceptions). This is what is considered to be a sale, though units can subsequently be returned. Shops are not likely to spend their limited budget to rack an album they have never heard. 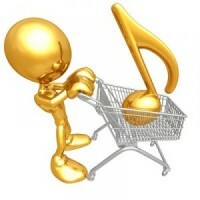 Promos or listening links are sent to sales teams so that they can send to key retail buyers. Retailers often see a lack of music as a signal that a label is not fully supporting a release, and they won’t support it either. Although the editorial teams at digital retailers are not buying titles as they are sent, they still need to determine whether a release will be successful for their store and whether it is worthy of their limited and valuable editorial placements. Don’t forget that the editorial teams at digital services are also music fans. If you want them to support your release, let them hear it. Have an artist on tour? Don’t forget to tell your distributor! Anyone who has worked in physical distribution has at one time or another received The Call. The dreaded Call. An artist is on tour, the manager has gone into the local record shop and has not found the album. A number of reasons may be to blame, but The Call is one of the most uncomfortable and worst conversations to have as a distributor. Not only have you missed a prime opportunity for sales, but you also have a damaged relationship. Thankfully, unless something goes horribly wrong, The Call mostly does not happen in the digital sphere. Fans can largely return home from a gig and find the artist’s music on their preferred digital service. But what more can be done? Tour dates are an excellent time to re-highlight an album to digital retailers. Perhaps you could have extra placement, or special pricing around the dates may encourage more sales. Also, why not invite the services to the show? Show them why your artist is awesome. As mentioned, unsold physical units can mostly be returned by shops. Physical distributors thus have to strike a delicate balance between shipping enough units into the marketplace to have visibility and fulfill demand, but not over-shipping above demand and have returns come flooding back. No one wants a warehouse with more units than have actually been bought by fans. We of course do not ship stock in the digital world and thankfully, units do not come back. However, digital marketing teams likewise need to be credible in their pitches. Why is the release going to be successful for a service? Are there marketing and promotional plans? Are there tour dates? Is it just freaking brilliant? We need a reason to push releases with services and ask for their support. If we tell them something is going to be amazing and it is not, we lose our credibility in pushing future releases. We may not have returns flood back to the warehouse, but some of the results are the same. Whatever the retail landscape is now, it will be totally different in five years. To develop an adequate understanding of the path to earning money licensing music, four essential areas make up the key foundational knowledge, and we cover them in three posts. In part one, “Copyrights and Revenue,” we look at the different copyrights and the basic blueprint for how revenue is generated by licensing your original music. Part two, “Creating Value and Income,” addresses how to create value and earn income through music licensing. In this third and final post, we explore the diversity of buyers for original music, and the all-important connections you will need to develop to begin to make money from your original music. Who are the buyers for your original music? The short answer is they are incredibly diverse, and include everything from video game production companies to late night TV variety shows. And while the enormous range of buyers is encouraging, they mainly operate in a closed loop of industry contacts, so gaining access can be difficult. That’s why knowing the ground rules and how value is perceived by the buyers is crucial before attempting to break in to the loop. Buyers are often referred to as “licensees,” since other than buy out deals, they don’t actually own your song, but you or your rep sell them permission to use it in a narrowly defined way and usually for a limited time — a license. Here’s a list of some of the types of buyers that use music as part of their product or service. • Live event music use — sports arenas, corporate meetings, political rallies, etc. Seeing the range of opportunities presented can be exciting but also a bit overwhelming. That’s why eventually many songwriters and composers will choose to partner with a music publisher or other representative who will actively pitch their songs to prospective buyers. While it’s beyond the scope of this article to look closely at music publishers, they play a key role as intermediaries between buyers and songwriters, often helping seal a deal with just one well-timed phone call or email. It’s your music publisher’s job to know who is seeking new music and what types and get your music into their playlist for consideration. For the moment, it’s enough to understand that the opportunities to license your music are substantial, assuming it has market value as determined by buyers. Furthermore, a whole other set of parallel opportunities exists in foreign markets, which will generate additional income beyond your US license fees. Remember Feist’s iPod spot mentioned in Part 1 of this series? It was used in the UK as well as the US and Canada, so Apple paid additional fees for each non-US territory. Sometimes the realities of a looming production deadline will play a significant role in what music is actually licensed. For instance, for weekly episodic TV shows, from the time a particular show is shot and edited, there may be only a few days to identify, negotiate, and secure licenses for a particular piece of music. Some artists are now making efforts to hold on to both song and master rights to issue nearly instantaneous one stop music licenses — a benefit to both the buyer and the seller. Likewise, legacy artists from the 1960s-90s are investigating their options to buy back their master rights, or in some cases recording new masters of their original hits that they will then control to provide one stop licensing options. Armed with your growing knowledge of the world of music licensing, how do you now start to build the network of connections to eventually secure income from your original music? By devoting a pre-determined amount of time each week to identify the persons that work as music publishers, music supervisors, sound and music editors, recording engineers, record producers, radio and TV staff and creatives, sports teams, cable TV producers, and many others that choose what music to recommend to buyers on a daily basis. As you learn more about the music licensing business, you’ll start recognizing the names of key music influencers who are trusted to help determine music selections. These are ultimately the persons that have to learn about and endorse your music. Unfortunately, you can’t simply send them an email with your music attached and expect overnight success. Instead, here is a three-step strategy that will help you start to make inroads with your original music into this business sector, not only to confirm your music has licensing potential, but to also build relationships with industry players that can help you grow, learn and ultimately profit from your music. STEP ONE: Join a national and a regional songwriting organization. This will exponentially increase your opportunities for networking and professional development. On the national level, both the Nashville Songwriters Association International (NSAI) and Songwriters Guild of America (SGA) are well respected organizations that have members all around the country. Both offer educational, networking and development opportunities on a regular basis for their songwriter members. Joining and participating in conferences, webinars, workshops, one on one mentoring, legislative advocacy, developing co-writer relationships all will benefit your career and help build your network. There are also approximately eighteen regional songwriters organizations, which provide a more localized network of like-minded musicians that promote member events, co-writing workshops, songwriter contests, showcases and interactions with leading music publishers. One example would be the West Coast Songwriters Association, headquartered in the SF Bay Area and sponsor of many localized open mics and songwriter events. Their annual fall conference brings together a who’s who of industry music licensing heavyweights to meet and review members’ best songs. Having attended this conference in the past, I can attest to the quality of interactions that occur over its two day run. BMI, ASCAP and SESAC offer invaluable advice, guidance and assistance to their respective member songwriters and composers. Together, they collect roughly $2 billion in public performance monies for their affiliates annually. Your PRO will be your partner in helping to collect public performance royalties for you whenever your songs are performed publicly. They each offer their members outstanding professional development, mentoring, workshop and learning opportunities. Visit their respective web sites to learn more. If you own your own master rights, then also join SoundExchange, to insure that digital performances of your masters will result in licensing income being paid to you. They distribute an estimated $400 million in digital performance royalties to their members and are free to join for master rights owners. Music publishers provide a vital link in the music licensing community. As mentioned, many successful songwriters have attracted the attention of a music publisher and chosen to forego a portion of their future royalty earnings to partner with a publisher that has solid industry connections. Such publishing agreements are usually a 50-50 split, which is what drives publishers to secure as many licensing deals as possible for their writer’s songs. Music publishers come in various sizes and each has its own strengths. Becoming a student of the music publishing world will help you understand which music publishers might be the best fit for your music. If you write straight ahead pop songs, then a mainstream publisher with strong connections to record, film, and television producers might be best. If you compose contemporary orchestral or band music, then a print music publisher with strong ties to the symphonic and academic world would be best. As you network with your national and regional songwriting organization colleagues, you’ll find that in a matter of a few months you’ll start to learn the names and roles of some of the key personnel at music publishers that are actively seeking new writers (nearly all are) and how best to present your music to them. As with so much in the music industry, there isn’t a golden ticket to ensure that your future path to financial success through music licensing will be realized. But thousands of other start up songwriters have made the transition to income-earning writers by following some variation of the path outlined in these posts — after first developing a basic understanding of the business itself. Investing time in improving your craft as a writer while simultaneously building relationships with songwriting professionals and the music licensing taste makers who recommend one piece of music over another will give you the most realistic chance to break in to this market. Remember, it takes time, patience, and the desire to continually improve yourself as a writer, but it can be done. To develop an adequate understanding of the path to earning money licensing music, four essential areas make up the key foundational knowledge, and we cover them in three posts. In part one, “Copyrights and Revenue,” we look at the different copyrights and the basic blueprint for how revenue is generated by licensing your original music. This post addresses how to create value and earn income through music licensing. In part three, “Who’s Buying and How to Connect,” we explore the diversity of buyers for original music, and the all-important connections you will need to develop to begin to make money from your original music. When striving to understand how the music licensing business operates, one key fact is that the music licensing marketplace determines value on a daily basis. What this means is that to make any money licensing your music, your songs must have value in the eyes of the marketplace. The following qualities will help determine a piece of music’s relative licensing value. Recognition – Motown’s classic Marvin Gaye/Tammi Terrell hit, “Ain’t Nothin’ Like the Real Thing” was licensed by Burger King for its flame broiled Whopper. The use of this instantly recognizable pop hit appealed to baby boomers and tied into BK’s claim that flame cooked burgers taste better. Using pop hits associated with well known artists brings immediate attention to your product or message and resonates with that artist’s fans. Originality or freshness – Sometimes finding music that is not in the mainstream will fit the needs of a production. Tunes by then lesser-known indie bands such as the La’s, Sam Phillips, and Black Box Recorder brought a sense of newness and discovery to the audience of the first season of The Gilmore Girls (2002). This furthered audience identification with the characters and helped turn the series into a runaway hit. The same technique was used again effectively on series such as The OC, Smallville, and One Tree Hill. 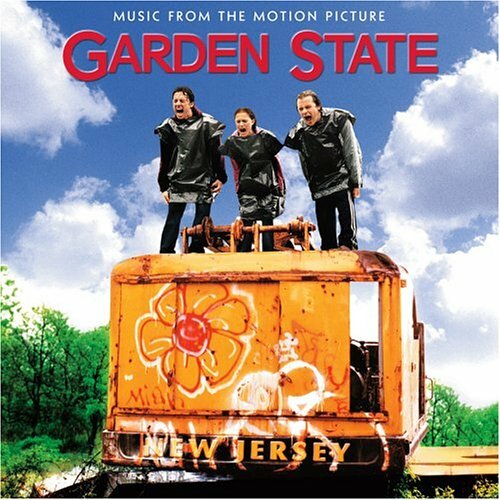 Similarly, some feature film makers want instantly recognizable hits for their music track when looking for music for film, whereas others attempt to build a unique sonic DNA, such as 2006’s Garden State. Director Zach Braff choose to license obscure bands such as Iron & Wine, Thievery Corporation, Frou Frou, and Remy Zero, separating the film and its vibe from the mainstream. He remarked he actually made playlists with his favorite indie tracks to listen to while he was writing the script for the film. A third example of a perfect match between a relatively unknown song and a buyer is Volkswagen’s arty choice as the soundtrack for their TV spot, “Milky Way.” They used the Nick Drake song “Pink Moon” to promote the cool camaraderie that blossoms on a moonlit night out between four friends in their Cabrio convertible. Like the Feist example earlier, Drake’s records enjoyed a nice sales boost as a direct result of this licensing use. Clearly, songwriters and artists that have not had mainstream success actually have an edge for projects such as these, since their music has yet to become well known and can be introduced to the public as an integral part of a new TV or film project. Branding – Hiring Adele to co-write and perform the “Skyfall” theme song for the recent James Bond film was in part, a branding decision. Associating the biggest-selling artist in the world with what the film’s producers hoped would become the most successful movie of the year. Other examples of branding music choices would be Chevy’s long running use of Bob Seger’s “Like a Rock” as the creative and musical foundation for Chevy truck ads. Seger’s music is American to the core and he hails from the Detroit area, plus the song itself aired hundreds of times daily on classic rock stations around the world. Similarly, Cadillac’s use of the opening guitar riff from Led Zeppelin’s “Rock and Roll” tied that iconic rock act to the edgier brand image that the car manufacturer was trying to sell to baby boomers in an attempt to wipe out the image of a Cadillac being your grandparents’ car. Affordability – Since a business transaction of some sort is required for music to be used, the issue of the budget is always a significant part of the discussion. While the major national advertisers mentioned above may have annual production budgets in the millions, there are many smaller projects that require just the right music, but for a much smaller license fee or as a buy out. For songwriters on the way up, this is often where the path to music licensing income first becomes real. A local advertiser or a documentary film maker can often benefit from the addition of well matched music for their production. That said, your music must be good enough to appeal to buyers in some meaningful way to be able to attract their attention. At that point, the courtship process will start that will hopefully lead to a successful license agreement. Does your music fill a need? Your music has to be recognized as potentially filling some need that the producer has for their project. Is it good? Priced appropriately? Is it a branding “win” for the advertiser? Does the music help weave a spell that will help define the musical DNA of the project? Will it resonate with a certain audience segment? Will you write new music under a buy out deal? Each opportunity may have slightly different conditions. In the end, the only way to know for certain whether your original music may be salable is to test it on those who serve as middle men for the buyers. Here is a sampling of the range of values for actual deals that have involved newly composed or existing music license fees in the past few years. This data will give you an idea of just how wide the ranges can be for using your music, especially if it first has gained some level of mass appeal. If you are new to licensing and able to attract the interest of buyers, your initial fees will likely be quite a bit less. As you’ll see, the size of the audience, the numbers of different media used and the length of the license all influence the fees. So while your music may not command the five and six figure sums noted above, once you establish your music has some value to potential buyers, you can start to broaden your buyer contacts and the all important connections it takes to reach them. Turn on the TV or radio, click on a website, or stroll through a mall and chances are you will hear music. If you’re a songwriter or composer, how do you secure placement for your own compositions or recordings to be played via these channels? Who chooses the indie songs behind the latest teen angst soap opera? While there is no magic formula, there is a process and a path for original songs to find their way into the thousands of available licensing opportunities. This series of three posts will provide an overview and understanding of the opportunities and challenges to making money with your original music. Before diving into this topic, take a look at this example of a music licensing home run by the Canadian singer songwriter, Leslie Feist, who’s song “1, 2, 3, 4″ was featured in an iPod Nano ad. 1. Millions of people heard her music when the spot aired on TV. 2. She was associated with Apple, a product and company that owns the “cool factor” among young consumers. 3. She collected significant synch license fees for this use of her song. 4. The added exposure generated interest in buying her album The Reminder, helping propel it to platinum status (1,000,000 albums sold), and pushing the song from #102 to #8 on the UK singles chart in the week after the ad broke in that region. For a songwriter who is not a recognizable name as a recording artist, the gains would not be as substantial, but sync fees for TV commercials used internationally can run as high as six figures. To develop an adequate understanding of the path to earning money with your original music, four essential areas make up the key foundational knowledge, and we’ll explore them in three posts. In this first post, we’ll look at the different copyrights and the basic blueprint for how revenue is generated by licensing your music. Part two will address creating value and earning income through licensed music. In part three, we’ll explore the diversity of buyers for original music, and the all-important connections you will need to develop to begin to make money from your original music. Taken together, understanding these elements of the business and their interconnectedness will allow you to build a game plan to become recognized and eventually begin to secure income-earning opportunities from your original music. Understanding the ground rules is required to have a basic grasp of how the music licensing world works. Music licensing has its own lingo that has evolved over the years and allows those who work in this sector of the music business to communicate easily. It’s essential to learn not only this lingo, but also how and why people license music, who are the key players, what are they looking for in various situations, what types of agreements are commonly used, and how deadlines may drive the decision about which music to license. Together, this set of information will form the basis for your ongoing efforts to secure licensing deals for your music. Most popular songs have two copyrights, both of which are required to use a song such as Feist’s “1, 2, 3, 4” in a commercial or other licensed use. These are called the “song copyright” and the sound recording or “master copyright.” The song copyright protects the underlying musical idea (notes, rhythms, chord progression, and lyrics) that makes up “1, 2, 3, 4.” The master copyright protects the “1, 2, 3, 4” sound recording so that anyone using any part of that original sound recording must secure permission from the sound recording’s copyright owner. These two copyright owners are often referred to as the two “sides” required to grant a complete license for a song and master use. If you’ve written an original song, but it has not been recorded prior to being licensed, you would only give permission to use the song copyright. We’ll look at such an example in a moment. Two other pieces of copyright ground rules are the length of copyright and the protections copyright registration affords songwriters. 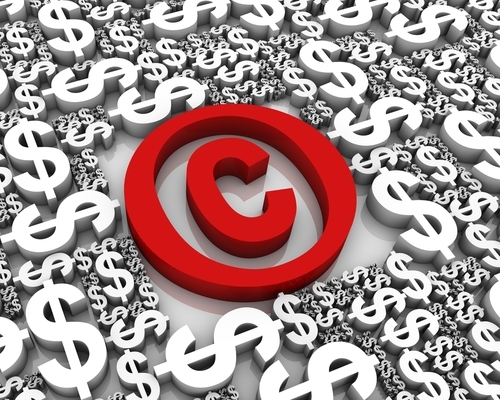 Current duration of copyright is the life of the author plus 70 years in the US. So once your original music is copyright protected and determined as valuable by potential licensees, each song can earn revenue for a very long time. To secure maximum protection for your song and master copyrights, it is essential to register your copyrights with the Library of Congress (LOC). If you file online, the cost is $35 per song. If you are serious about earning money from your original music, failing to register your songs is a mistake. With copyright registration through the LOC, you will always have the maximum statutory protections available to copyright owners in the event of any unauthorized use of your music. This can be significant if you have to go to court to secure payment for any such unauthorized use, as was the case in 2009 when Puff Daddy’s Bad Boy Entertainment was slapped with a $4.3 million penalty for unauthorized use of a song and master copyright. To better understand the ground rules, here are five road maps to revenue, examples of how a songwriter/composer can generate money from their music. These demonstrate the range of money-making opportunities that abound once you know how the business operates. TV Show Synch License – In this example a prime time TV show (e.g. Grey’s Anatomy, The Mentalist, CSI) selects a song by an indie artist for a particular episode. To secure permission to use that song and master, the TV show’s Music Supervisor will contact the two “sides” that control the respective copyrights, normally the song’s publisher and the artist’s record label. Each side will negotiate their license fee with the music supervisor, a license agreement will be executed, and the music will appear on the TV show. This can be advantageous for an indie or self-funded DIY artist, as they control both copyrights. There can be many variations, but this is the basic flow of the licensing business for a song being used for some commercial purpose. Mechanical License – Let’s say you’re a songwriter and you pitch a new original song to an artist getting ready to go into the studio to make a new album. They perform the song a few times, their manager and producer agree that it’s a good fit and decide to record your song for their new release. Their label will negotiate a mechanical license through which you grant permission for them to record and release your song as part of the album. Mechanical royalties are paid on album or singles sold and generally vary between .045 to .091 per sale for one song. Obviously, a best-selling single or album can generate a substantial sum for the writer or writers. Background and Production Library Music – Think back to the last time you called a business and listened to music on hold while you waited to speak with someone. If it was a song released by a performing artist, the song that was playing was generating income for its writer while you were listening. Then there are Production Music Libraries, mostly instrumental music cues that are recorded and distributed to TV, film, radio, the Internet, and documentary production companies for use in their programming. Production music library composers are paid a fee when the music is created, and then often share in the revenue that licensing the library out to various users generates over time. Buy Out – Occasionally, someone may hire a songwriter or composer to create a new piece and as part of the agreement, the sale will include ownership in the new piece. This is commonly referred to as a buy out, or may be known as a “work for hire.” The copyright control goes over to the buyer, who can then use the music without any limitation. For up-and-coming composers, such deals allow them to develop their skills, build a track record and get paid along the way. As you get more established, buy outs become less common, as the marketplace has determined your music is worth licensing. Public Performance Income – Rewind to the first example, a TV show that uses a popular song in an episode. In addition to the license fees collected by the two sides for the synch licenses required to use the music, when the show actually airs on the network, the songwriter will also earn public performance royalties for her song. These are collected by one of our three performing rights organizations, ASCAP, BMI or SESAC, in the US. If the TV show goes into reruns or to foreign syndication (think Baywatch), there are significant substantial additional royalties generated. So to summarize, if you have original music identified by someone that believes it can benefit their project, they will usually contact you or your publisher or label to see if rights can be negotiated for music use. And while these intermediaries or “middle men” are important, the key to making money in music licensing is creating music that has value as perceived by the prospective buyer or licensee. As high-quality audio gear becomes ever more affordable, software emulations nip at the heels of some of the most coveted audio hardware, and much of the basic knowledge of the audio field becomes widely disseminated through the web, professional studios still offer more than a few major benefits. The first among them is the skill and experience of their engineers. But not far behind is the quality of their rooms. There’s no easier place to make good mix choices than a well-tuned listening environment, and no better place to do a performance justice than a comfortable and well-balanced live room. If you are building or upgrading an existing studio, it’s always always a good idea to set aside ample resources for room treatment and construction, as good tuning can improve the sound of any microphone and the accuracy of any set of speakers. Meanwhile, in an acoustically neglected rooms, the nicest of mics can sound like rickety imitations, and the best of speakers are plagued with all sorts of misleading resonances and smeared imaging issues. One of the best ways to make sure you get the most out of your studio is to find other spaces that you admire in your price range, find out what contractor or acoustician contributed to the design and construction, and enlist their help. Of course, not every production room can justify the budget for an elite acoustic designer or luxurious wood-paneled construction. But any room, from a converted den to a full-time commercial space can benefit from some strategic treatment. For anywhere from a few hundred dollars on up, it’s more than possible to make real improvements to a studio or listening space that may outshine any high-end gear purchase. Before you continue on, know that acoustic treatment is not the same thing as soundproofing. It is intended to improve the quality of sound inside your room – not to stop it from getting in and out. If you’re curious about soundproofing, see our recent article Soundproofing the Small Studio. But if you’re ready to take your recording or mix room to the next level, read on. The first thing to consider in any listening room is monitor placement. If your more concerned about a live room, once we get past this section, all the essential information remains the same. If you’re dealing with a rectangular room, as most small studio owners are, it’s often easiest to get good results by setting up your room longways, so that your front and back walls are as far from one another as possible. This is because rectangular rooms tend to have the biggest bass problems at about the halfway point of a room, as well as near your back wall, far from the speakers. Although it’s certainly possible to set up a room so that it’s oriented to be wide rather than deep, you may find it more difficult to create a wide sweet spot without incorporating plenty of extra treatment and creative design solutions. Veteran studio designer Wes Lachot, who helped develop the rooms at Manifold Recording and the new Strange Weather Recording, has been credited with popularizing the “38% Rule.” More than a hard-and-fast law of physics, it’s a general rule of thumb that suggests most rooms will have a fairly well-balanced listening spot just over a third of the way in from the front or back wall. If you’re just setting up a new room (or questioning your existing layout) this can be a good place to start. Once you select a starting point some of the most often-repeated advice in the studio world is to set up your speakers so that they form an equilateral triangle – where the distance between the speakers is equal to the distance from either speaker to your head when you’re in the listening position. Huge peaks and nulls in the low frequencies are typical of small, insufficiently treated rooms. This real-world graph comes courtesy of RealTraps. But don’t just trust this 38% figure blindly. Move around the room while listening to low-end focused music that you are familiar with in order to find a spot that seems the most even, and adjust your speaker placement again if needed It’s advisable to do this beforeinstalling any acoustic treatment panels, as they may mask problem areas, which can end up netting you less bang for your buck in the end. If you’re really serious about making the most our of your room, you might consider buying or renting an affordable measurement microphone, like the dbx RTA-M, which sells for just $100. There are also even less inexpensive models like those from Nady and Behringer that are workable options, as well as super high-quality measurement mics like those made by Earthworks. Overall quality may differ, but at least as far as the bottom-end is concerned, they’ve all been found to have similarly accurate frequency response. Once you have a decent measurement mic, or even a particularly flat condenser mic at your disposal, all you have to do is use a simple tone generator like the one found in Pro Tools and play some pink noise through your speakers. Then, you can move around the room with your mic, sending its output to a frequency analyzer to help find the most even and uneven points in the room. If you don’t have a frequency analyzer, check out our recent roundup of free and affordable options. Once you’ve found a listening location that has some natural balance, it’s time to start working on the low end. If you’ve ever been working in your space and found that your bottom-end changes dramatically depending on where you put your head, know that this is an affliction that plagues all insufficiently-treated rooms. Luckily, it’s not terribly hard to subdue the issue. Although high-class studios are sometimes designed from the ground-up to incorporate custom-tuned bass management solutions like membrane absorbers or even Helmholtz resonators, in the small studio your best bet is likely to be broadband absorption. RealTraps MiniTraps installed at Sterling Sound, NYC. At its most basic, a broadband absorber is a simple acoustic panel made of rigid fiberglass (such as Owens Corning 703 or 705) and wrapped in some kind of fabric. The difference between a broadband absorber and any other high-performance acoustic panel is that it will be thick enough to be effective at extreme low frequencies – not just the highs and mids. A really effective broadband absorber might be as much as 6” thick, capable of dampening major resonances well below 100Hz. It’s also possible to get away with more narrow absorbers so long as they are hung across corners, where bass tends to accumulate. And no matter what thickness works for your needs, that’s generally going to be the first place to look at adding broadband absorbers: in the corners, starting at the front of the room, and working your way from the ceiling on down. If you like, you can also use your ears or a measurement microphone to find out if the major bass accumulation areas in your specific room lie elsewhere, but it’s hard to go wrong starting here. In fact, if you can only do one thing – particularly in your control room – adding 2 to 6 broadband absorbers can help make for a huge improvement, and not just in the low end. Broadband bass traps are available from a variety of specialty manufacturers like RealTraps, Primacoustic, and ATS Acoustics, and there are even some companies, like ReadyAcoustics that specialize in making affordable DIY kits. If you’re really handy, you can even build your own from scratch. Once you’ve got your low end is in a workable place, many acousticians will recommend that you focus on high and mid-frequency absorption to create a “reflection-free zone” in the listening position of a control room. The idea here is to use absorption panels that are just like the broadband absorbers already discussed, only thinner, as to lower the cost and gain more coverage. A White Mark ”Fast Studio” acoustic system installed in Peregrine Andrews’ London studio. Instead of going with rigid fiberglass panels up to 6” thick, you might opt for panels that are 2′ x 4′ or so and only 1” to 4” thick. 2” seems to be a pretty common choice, especially if you’ve already done a good job controlling low-frequency resonances. The first goal is to eliminate first-order reflections – that is, sound waves from the speakers that bounce one off the walls, and then make a beeline straight for your ears. A small handful of strategically placed panels can help accomplish this quite well: one or two panels each on the walls adjacent to your listening position, on the ceiling above it, and behind the speakers themselves. There are a couple of ways to figure out exactly where to place these absorbers. The ones you place on the side walls should be around ear level, naturally, and you might want to ask a friend to walk around with a mirror up against the wall. Any point along the wall where you can see the speakers in the mirror from the mix position is a potential place to put a panel. Another way to figure this is to calculate a distance halfway between you and the speakers, and put absorbers there. This is the first, and most essential step to controlling high and mid frequency reflections. If you want even more control, you can add additional panels from there, but even this alone can make the most reflective rooms into workable environments. A similar approach can be taken in a live room. It’s never a bad idea to throw up some evenly spaced 2”-4” panels in a rectangular room, in addition to a few broadband absorbers. If you continue to have problems with flutter echo, you can now add in 1” panels in problem areas to clean up any high-frequency slapback. Once you’ve treated your low end, created a largely reflection-free zone in your listening position, and cleaned up any significant flutter echo, you can think about adding diffusion. Usually, diffusors are place on the back wall of a control room to scatter reflections, making the back wall practically “disappear.” All the companies mentioned earlier offer diffusion solutions, and some companies like RPG, Delta H Designs and Carl Tatz Design specialize in making custom, sometime breathtaking options. But diffusion isn’t just for control rooms. A small live room can be made to sound larger, more open and less “boxy” thanks to a few well-placed diffusors. They can also be incorporated into a “live end/dead end” type of design, where one side of the live room is surrounded in thick absorption panels, and the other is accented by wood diffusors to help scatter the sound. And once again, for the handy studio owners among us, there’s always the DIY route. All that takes is some wood, a good saw, a ruler, and plenty of patience. Facebook paid a billion dollars for Instagram last April possibly because Instagram was only for mobile devices. As of this week, Facebook has put Instagram on the web, and now, we’ll find out whether Mark Zuckerberg’s big investment was worth it. However, Instagram is silent. Pictures might be worth a thousand words to some people, but for the most part, nobody can hear them. Enter PhotoBlab, from Thomas Kirk, the director of live video and visuals for the rock band Muse, who has never created an app before. PhotoBlab is his first app, and it’s pretty darned interesting. Instead of just taking a picture of an old man cranking away on a hurdy-gurdy on the streets of Prague, you can display five images of the guy plus a minute or so of his actual hurdy-gurdy-ing, as the official Muse account did a couple months ago with its own PhotoBlab account (web version pictured above). The PhotoBlab iOS app makes it easy to put together shareable sound/photo slideshows. for audio” maneuver. You simply take some photos (or choose them from your camera roll), record some audio to go with them, edit that audio if you want, and then share it — thankfully not only on the relatively unknown PhotoBlab, but also on Twitter, Facebook, or good old-fashioned email. You can add up to five photos. Then you either record new audio, or select some from your voice memos — up to 10 seconds for free, or two minutes if you upgrade to the paid version for a dollar. This versatility makes PhotoBlab great for two things: documenting stuff as it happens, and sifting through photos and recordings to send something out later — a classic example of the latter would be sending out quick photo/audio montages from the airport on your way back from vacation (not to mention a lot less onerous on your friends and relatives than inviting them over for a viewing party at your house). As with Instagram, you can then add some filters — and then you’re off to the races, sharing your “blab” publicly or privately. If you email it to yourself, you can get a web link like this (in other words, PhotoBlab is on the web too, just like the new Instagram). It’s impossible to predict which new social networks and “life sharing” apps are going to take off, but PhotoBlab A) does something none of the current big players do, and B) is easy enough to use that people who don’t normally record sound will be able to manage it. And that can’t hurt. via Finally: PhotoBlab Is Instagram for Photos+Audio | Evolver.fm.